Argentina is a great place to learn Spanish. People visiting in Argentina will enjoy one of the world's most amazing and varied landscapes and some of the best steak and wine in the world, but friendly and supportive locals. This great combination will make practicing your Spanish absolutely enjoyable. La Montaña staff is always ready to help. We are happy and delighted about our country and in particular Patagonia so we are always open and glad to help our students to explore and learn as much as possible about us. This guide is the first overview you will have from us and you will find out what makes Argentina a great place to study Spanish. 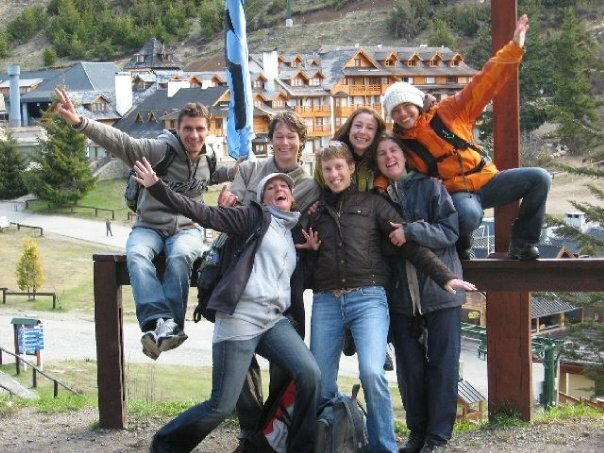 Bariloche: Of course, our city offers so much to do all year round. Breathtaking views, trekking, canoo, rafting, paragliding, among other outdoor activities while having the biggest ski resort in South America, the best ski and snowboard areas in winter. Buenos Aires: the capital of Argentina, cultural, full of life. Tourists and people from all over the world arrive in Buenos Aires to enjoy its fascinating history, European elegance and great night-life. We have partner schools in Palermo, Congreso and Recoleta. Cordoba: A great university and historic town. Situated in a valley in the center of the country, Cordoba offers colonial architecture and lots of parks. Salta: In the north east of Argentina, is a popular tourist destination for its natural beauty. Surrounded by some of the most varied colourful landscapes, Salta offers amazing views, mountains and stunning landscapes. Mendoza: Very well know for its wine, the city of Mendoza has a wide tree lined streets and low buildings. Surrounded by vineyards and some of the highest mountains in the Andes range, the city is also a great place ti stay and easily access Chile.